Formal Wear for Women | Office wear | Formal Shirts for women Online. Bespoke Formal Wear, Office Wear for women is now a reality! Gone are the days when only men could get bespoke shirts to boast about in the boardroom. It’s time that customized formal wear for women becomes a reality. We need to start incorporating bespoke clothing in women’s work wear and achieve the perfect ensemble, effortlessly. Today’s “she” who balances her home-work life with a poised smile, looks for that “something new yet comfortable” to wear at work with an aim to climb the career ladder in no time. We at Stitchmyfit.com believe that each woman is unique and so should be her preference for formal wear to look apart. “Comfort fit” should be the key in women’s work wear for that much needed ease in the ever demanding work arena. That’s why getting formal wear catered to you works so much better than going to try and buy women’s formal wear off the shelf. Your preferred office wear for women is now just a click away. Log into stitchmyfit.com and choose from our myriad range of formal shirts, jackets, trousers and skirts – all from our designer boutiques online. Our chic bespoke formal clothing guarantees to give an added boost you definitely deserve. Skeptical about online brouhaha or prefer the old school way of shopping for women’s workwear? Visit our boutique store and let our in-house stylists guide you to choose the best office wear for women. If you are in Mumbai, they even come home to take your measurements and customizations. Can’t find your style and fit? We got that covered too. At stitchmyfit.com, we appreciate your inputs and ideas to tailor the bespoke work wear by taking your accurate measurements and getting what you feel is a great fit. Getting formal shirts for women online has never been more personalized! We take pride in our fabric, fit and feel theory. Bespoke office wear for women made from our rich cotton, satins, glossy linens, and even coarse raw silk fabrics is sure to give you the fit and feel you are seeking for. And yes, new patterns and designs are added periodically in our custom work wear for women selection. 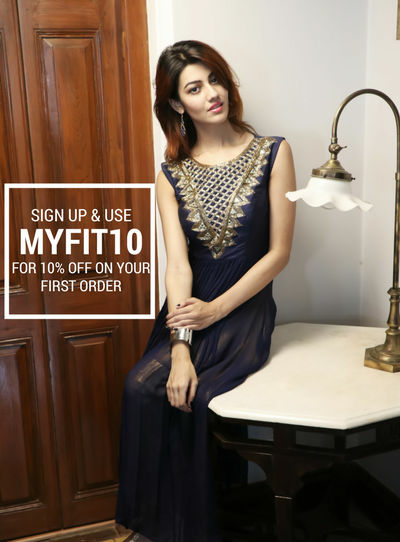 Stitchmyfit.com is very proud to call themselves the “finest dressmakers” in town and aims to provide chic formal wear online for women. Choose us and get your finest stitching experience, the vintage way.